244 units approved, most after years of shelving, as deputy mayor slams US criticism and slow pace of construction. After agonizing months of a covert building freeze against Jewish construction, the announcements of future building plans continued Wednesday as 244 new housing units were unveiled in Jerusalem's northern neighborhood Ramot. The housing plans were given the green light by the Jerusalem Planning and Building Committee, and include 28 new units given permits and 216 units that were already approved years ago before being shelved - the committee move renews the decision to build. In addition, the permits on 62 housing units in the south-eastern neighborhood of Har Homa were approved again after having received prior approval in the past. The Jerusalem Municipality told Arutz Sheva: "building in Jerusalem is essential, important and will continue full strength with a goal of allowing more young people to live in Jerusalem, to build their future and to strengthen the capital of Israel." Housing has been tight in the capital, with the freeze adding urgency to the housing crisis, even as experts report the Arab population continues to build roughly 800 illegal housing units each year - there are over 40,000 illegal Arab housing units in the capital. "The Municipality will not give a hand to the building freeze against Jews in the capital of Israel," continued the Municipality. "Discrimination based on religion, race or gender is illegal in any enlightened country. The projects discussed today were passed in full several years ago. Two weeks ago the initiators submitted a request to renew the validity of the projects so as to receive building permits." 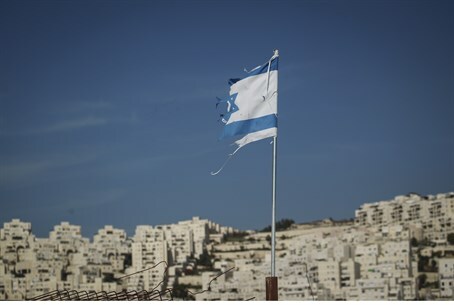 Responding to the American criticism that has accompanied every Jewish construction announcement in the capital, Jerusalem Deputy Mayor Dov Kalmanovich said of the new building announcement "it is unthinkable that the capital city of Israel needs a building permit from the United States." "The building permit today of dozens of housing units is an affront to Jerusalem and the Israeli government. There are over 700,000 people living in Jerusalem today, and the pace of building needs to be 4,000 a year and not a few hundred," continued Kalmanovich. The deputy mayor added "in my conversation with Mayor Nir Barkat I told him there's a lack of housing units and it's causing a demographic problem in the city. Unfortunately, the government of Israel must stop being afraid and start building in Jerusalem." The recent building permission comes after 400 housing units were approved in Ramat Shlomo on Monday, just one week after Prime Minister Binyamin Netanyahu approved over 1,000 housing units in that neighborhood and in Har Homa that have been slated for construction since as far back as 2010. Jerusalem Councilman Arieh King has warned that between the freeze that has been in effect and Jerusalem's housing projects for Arab residents despite rampant illegal construction that has not been cracked down on, the government is creating a de facto division of the capital.